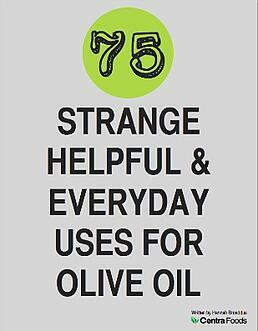 Download the tip sheet, 75 Strange, Helpful & Everyday Uses For Olive Oil. This list gives you lots of interesting ideas for ways to use olive oil you never may have thought of. To download, fill out the information boxes to the right and click Download 75 Helpful Uses.